I recently upgraded my Canon 5D Mark III to a 5D Mark IV, and a new feature that was added to the camera line, that I thought I would have no use for whatsoever, was WiFi. I knew it was going to be in the camera beforehand, but I really did believe I would have no use for it at all, Now after using it for two months, I am hooked. Being able to quickly and easily transfer photos to my cell phone via the built-in WiFi has been really incredible for me, and now not a day goes by that I do not use it. So I would just like to just walk you through briefly how simple it is to set up and use. First, I know you Nikon shooters out there have had this on your cameras for quite sometime already, but this is fairly new to Canon's shooters. It is the first time it is available on the 5D series, Canon's most popular model among professionals. The app, which you can download for free here for Android and iOS, actually has another feature besides file transferring. 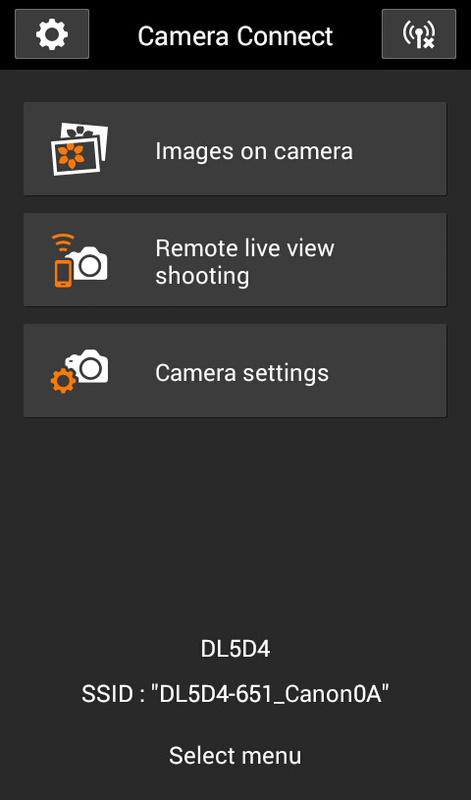 The app also gives you live view remote shooting, which actually seems to work great and gives you control over most of the cameras important settings. Directly from your cell you change the ISO, shutter speed, aperture, white balance, and autofocus the lens all via your cell phone. However I do not use this personally at all in my photography or workflow, I just briefly played around with it to see how it was, but I can definitely see many other photographers loving this feature and using it often. Especially when placing a camera in hard to reach places, or not touching the camera during the exposure is preferred. Even the refresh rate on my phone screen seemed quite good in my opinion. But what I am in love with about the app, and use on a daily basis, as I mentioned, is the ability to directly send photos to my cell phone. The benefit for me is when I am on set, be it in studio or on location. I know models just love to always snap pictures of the back of my camera so they can post it on social media right away, I deal with this all the time. Now in just a few seconds, I can send a couple of files directly to there phones. Every time single time I have done it, they are always impressed, they smile and it definitely brightens their mood. It really is great for client satisfaction and a good marketing strategy. I have now even had art directors that are working with me request a few files after they see that I am able do this, and than they forward the photo to someone else from the project that was not with us. The only downside to using the WiFi on the 5D Mark IV is that it definitely takes a toll on the battery, on what already is a camera that seems to eat more juice than normal, at least in comparison over my Mark III. So to deal with these battery problems, I highly suggest keeping the WiFi off at all times, and only turning it on while actually doing the transfers. So here is how I set it up. 2. Then turn on the WiFi in your camera. This may sound confusing, but it is actually extremely simple. You just go to the fourth sub menu in the settings menu (Yellow), and it is under ''Communications settings,'' select that, than on the next screen is an option to enable WiFi, enable it. 3. Now you will connect your device to your camera. You go into the WiFi menu of your cell phone, and connect it to your camera as you would to any other WiFi. You have just basically turned your Camera into a hotspot. You have the choice in camera to add a password to the WiFi and also change the name of the signal, I chose not too do either, and use the default settings. It was super painless this way, and I have no fear of someone hacking into my files, especially since the WiFi is always off anyway. Step 1-3 only has to be done a single time, to set up the initial connection for the first time. From now on, whenever you enable the WiFi on your 5D IV and on your cell phone, they will connect to each other automatically. All you have to do after that, is open the app on your phone. You cell remembers the WiFi just like it would any other router you previously connected to in your home or office. 4. And finally, now that the app is open, you just select what you want to do from the main menu on your screen, as I said, all I am using it for is transferring photos to my phone. 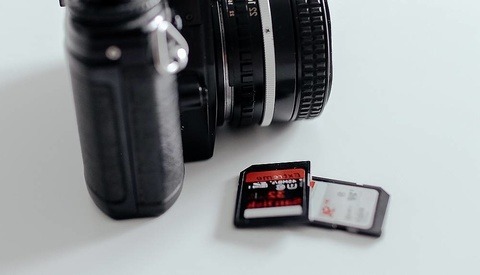 So that's the first option, ''Images on camera,'' from here you can see all your photos that are on the cameras memory card, and save them to your device. Super easy in real world usage! Now once they are on your phone, you can do with them as you please. Send them to your talent or clients that are on set, or post them directly on social media for yourself. You do not have to wait until you are at home on your computer anymore. I have also been doing this when just out with my friends. Snapping photos of us out and about, and giving them the photos immediately via Whatsapp. 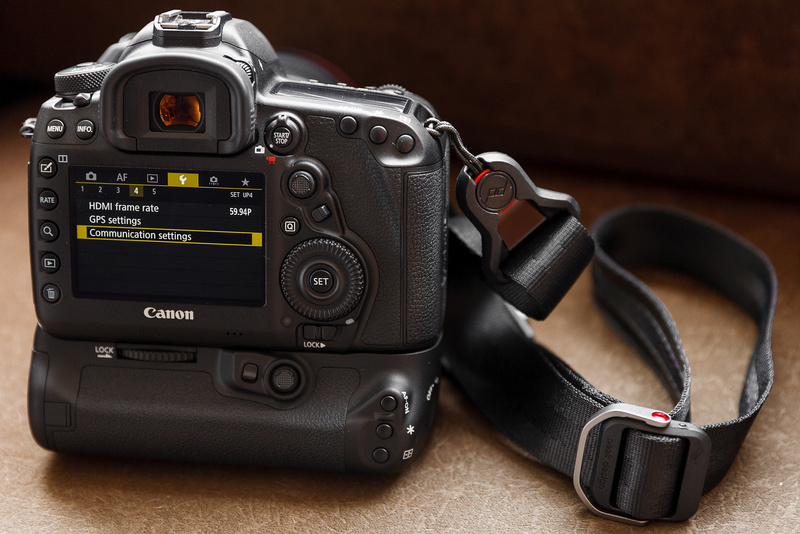 The Canon Camera Connect App will also work with other Canon cameras such as the 6D, 80D, the new M5, as well as a plethora of Powershot models. And besides smartphones, the App also works with tablets and iPad's for a larger display if desired. Yes, according to Canon, the WiFi SD card will allow this App to work with the 7D Mark II.......whenever Canon finally decides to ship those. It does work, I finally got my card last Friday. Found it on Amazon and cancelled my Canon preorder. Nice... But how does it work when you only shoot in RAW? Does it make it automatically a JPEG and transfer it to your phone? I use it on my 6D and yes automatically converts RAW to a JPG. Wow, nice... Thank you very much for your answer. Agreed! I have been using it with my 6D since I got it. Funny that we are only seeing a post about it now. :D Better late than never I guess. Or is it because the 6D doesn't get much love? Yup, I have the 6D and the wifi aspect has been amazing the last couple years. When it comes to the wifi connectivity I have found other camera brands far better than Canon and their app. It works but its finicky for sure. Sometimes you have to snap a photo to get it to connect which is a little odd and leaves a click on my camera to delete later. Any issues with this for the 5D? I have shot the 6D before a few times, but I never used it's Wifi. I haven't had any issues with the 5D's connection at all the past month. It seems if the Wifi is on in the camera and on in my cellphone, it stays connected at all times. If I notice any issues, I'll let you know. But does it send a 30 mb file or a downsized version suitable for a phone? My phone would choke on a few large files like this. Or am I missing something? It converts the file to jpeg if shot in RAW. It will resize the jpeg UNLESS you check the don't resize option. I believe that Canon notes that if you want to get JPEG's to your phone using the app, but shoot RAW for masters, you need to have your camera SET to RAW + JPEG. The camera doesn't "automatically" convert RAW's to JPEG's. You have the RAW on your camera, and the JPEG (which you've specified in your cameras menu) gets transferred to your phone. (The JPEG also remains on the card in your camera along with the RAW file). You don't have to shoot RAW+JPEG for a jpeg to sent to your camera, you can shoot just RAW. The Canon app (or camera, I'm not sure which) will convert the raw to a jpeg for the phone but it slows down the transfer process. Not by a lot but enough. If you want fast transfers then RAW+JEPG or just jpeg is the way to go. 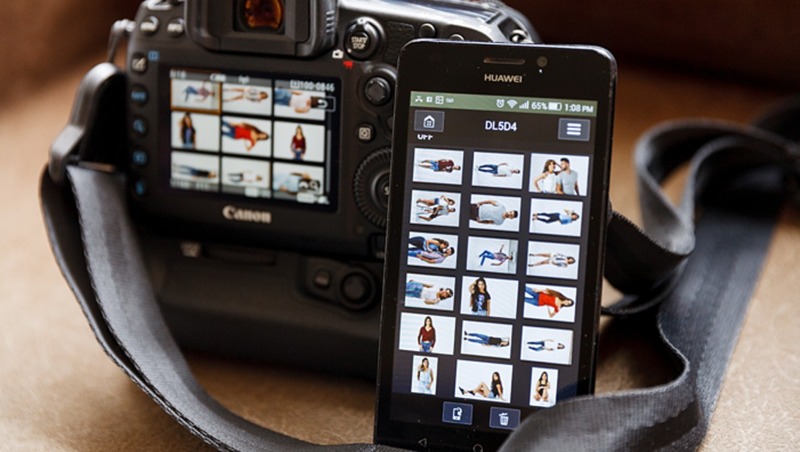 Correct, even if you are only shooting RAW in-camera, it will transfer as a JPEG with the app. It can be used only with wifi it the camera right ? So I can not use with my mark iii ? You can spring for the Canon WFT-E7A wireless transmiter for the MK 3, but expect to shell out close to $800 for it. (Yeah, i don't know a single mk3 owner who bought that either, lol). There's always the overpriced CamRanger or the much better priced and functional Weye-Feye wireless transmitter for the Mk3 (I own the weye-feye, and when i used it, loved it). The biggest benefit to the wifi is that you can do wireless tethering with any device, anywhere, at anytime. And it's fast. And with it's companion app, you can go through the entire shoot with the model and rate the photos you both like, and have those ratings carry over when you import them back to your computer or laptop in lightroom. I have an ipad, a smaller kindle, and an iphone, one which i'll used on a shoot in place of the laptop i used to bring. God, what an amazing and useful timesaver that is. I have tried that once myself too. Connected my camera to an iPad during a shoot, for a client to view the images larger, on her own device, while we worked. It was really great like you said.........But I wirelessly tethered my new Mark IV to my computer via WiFi to Canon's DPP software, and it was completely unusable to me. I did not time it, but I would say it took about an entire 30 seconds for each photo to pop up on my monitor. If I am with a model in studio, and fire off 15 shots in a minute, we would be there forever waiting for the files to transfer over. I think this really isn't a fault of the App in any way, and more of just a limitation of technology, wireless tethering just ins't quite here yet. While wireless tethering doesn't provide up to constant live updates (i'll shoot a batch of photos, then every so often refresh the app to update it with those photos, and repeat throughout the shoot). Works great for me since i do 85% of all my shoots on location, and not having to bring a laptop (and risk getting it lost or broken), means one less thing i have to pack and take care of, and it transfers photos fast. In the studio, i've stopped doing wired tether to LR, an instead just use my iPad throughout the shoot, and transfer the photos to LR after. I think I am going to do exactly what you are doing now moving forward. 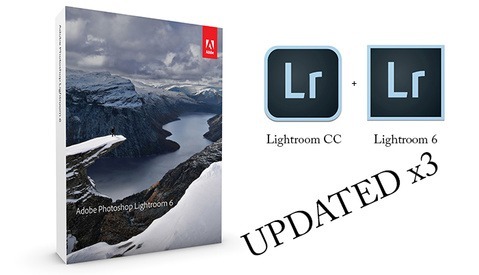 No more wired tethered to Lightroom. I will just use this app to connect to a tablet, so everyone can look at large previews. Than I will just download the images to my computer from the memory card afterwards like I do at most other shoots.........I do not use DPP either, but I wanted to try out the wireless tethering option, which can not be done with Lightroom. Like you said, the lag is because it is sending full size RAW files, with the App it is just sending small jpg previews. I have always shot on the go and clients expect for mobile stuff shoot, edit, and post all while out and about. I do this on mobile and its a powerful tool for sure. One thing I have noticed is if you have multiple cameras of the same brand, Canon here, it is VERY confusing to figure out how to connect them both at the same time but that is rare. I have an Olympus and the camera connects automatically when it finds the connection. Canon I have to fire off 1-3 shots before it finally reads the camera which I dont know is specific to me or just a small error on their end. Yea it seems moving forward, most clients will expect us to have Wifi cameras, and be able to offer them features like this. I haven't tried to link 2 cameras simultaneously, and don't think it would be possible. The App can not even access both memory card slots at once, you have to choose the SD or the CF in the 5D. I love this feature. 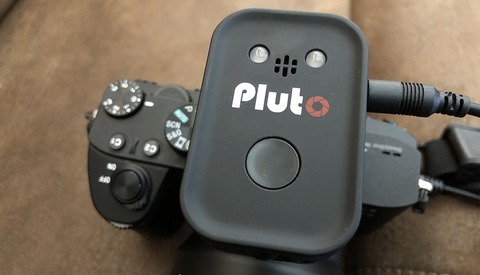 I used it all the time to review my shots since my iPhone 6 Plus screen is so much better than the lcd on the back of my camera, and it is very helpful for when I'm using long exposures and the camera is on tripod. Yes, no more need to bring a separate remote control with you! I recently got my mark 4 and this hasn't worked for me yet. When I connect my phone to the, the camera shows it is connected, however the phone won't connect to the camera. Maybe I need to do a firmware update? 4. the camera will say, "Connection Established"
as soon as you sign into the app, you should be given a password from the camera, and then you can connect.